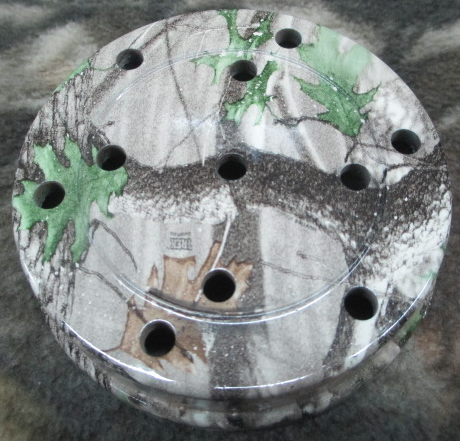 .New for 2010 is our line of Camo plastic pots. This pot is our standard black plastic pot with our green leaf timber camo applied to it. All camo is applied in house.